Have you noticed that your gutters occasionally overflow during periods of heavy rain? If so, it could be because your area was simply subjected to too much rain for your gutters to handle. Every now and then, a torrential downpour may overwhelm your home’s gutter system and make it hard for it to keep up. If your gutters are regularly overflowing, however, you could have another problem on your hands. 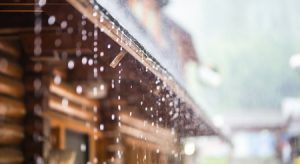 If you find that your gutters seem to overflow every time it rains, it could be an indication that you don’t have enough downspouts to discharge water away from your home. If rainwater can’t escape through your downspouts, it will start to pour out of your gutters instead. Adding new downspouts can increase the total volume of water your gutter system is able to handle. Your gutters are clogged with leaves, dirt, and other debris. If you don’t maintain your gutters and clean them out at least once or twice a year, leaves, dirt and other debris can accumulate in them and block the flow of water. Ultimately, these clogs can send water pouring out over the sides of your gutters when it rains. Keeping your gutters clean and clog-free is a great way to prevent them from overflowing in the future. Your downspouts have something stuck in them. If your gutters are all clear but they’re still overflowing when it rains, it could be a sign of clogged downspouts. Leaves and dirt can build up inside your downspouts and render them useless, too. The good news is, you can easily test your downspouts with a hose and then clear them out accordingly. Having trouble keeping debris out of your gutters and downspouts? Gutter guards can help by blocking this debris and keeping your gutters clear all season long. Give us a call at our toll-free number today to learn more! It might not feel like it with all the snow we’ve had lately, but spring weather will be here before we know it. 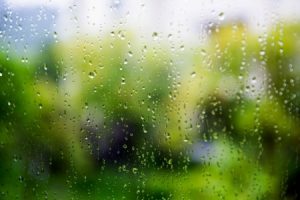 Those famous April showers can make spring a particularly demanding time of year for your gutter system, so it’s important to make sure your gutters are in good shape before the rainy season sets in. 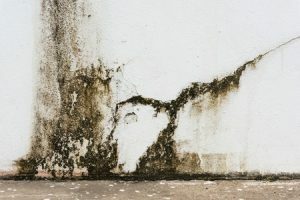 Let’s start by looking for signs of damage left over from the winter. Snow and ice is very heavy, so keep an eye out for gutter sections that might have gotten weighed down and pulled away from their fascia boards during the winter. Look for gutter brackets that might be rusted or broken as well. 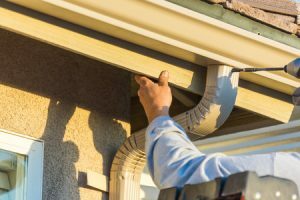 Minor gutter damage can often be repaired with a few new brackets and screws, but more extensive damage may require you to replace the affected gutter sections. Your gutters won’t do much good if their downspouts aren’t functioning properly. Make sure all downspouts are still securely fasted to your gutters and pointed away from your home’s foundation. Ideally, all your downspouts should discharge on a downward slope at least six feet away from your foundation. If your home is on a septic system, try to avoid discharging water into your drain field, as this can cause flooding during periods of heavy rainfall. Finally, spring is a great time to clear any debris out of your gutters that might have accumulated during the fall and winter. While you’re cleaning out your gutters, look for any signs of roof damage that might need to be repaired in the near future as well. This way, you won’t have to worry about leaks causing water damage in your home this spring.